I read about jet.com wanting to take on Goliath Amazon.com in Money magazine. And, I’ve seen ads lately about boxed.com in cute Tiffany blue boxes. Clever. Amazon was the clear winner with 3 day delivery (they tout 2 but it really arrives in 3. 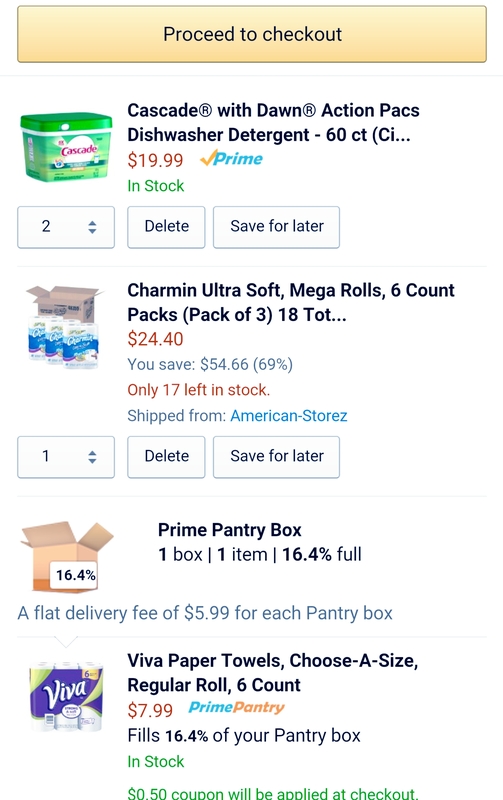 You’ll wait over a week for Walmart items) AND $10 less AND a bit more product on toilet paper. Only jet.com had a weird 16 instead of 18 count pack set of Mega rolls for more. Sounds like a dollar store strategy (teensy toilet paper and soaps etc. Weird counts of things). Jet also offered 15% off the first purchase, so no incentive to buy in the first place or to come back. Boxed did not carry Mega roll Charmin, so imagine all the waste in packaging and time spent changing a roll every 2 days. Plus all the ink used to make the boxes pretty. I would think newcomers would do what is typically done to competition- sneak in with low prices, then raise them once competition is gone. Do cost comparing of your own name brand things in which you won’t scrimp.